U.S. Special Representative and Trump's son-in-law will visit the region in attempt to move peace initiative forward. U.S. Special Representative for International Negotiations, Jason Greenblatt, and President Donald Trump's son-in-law and senior adviser, Jared Kushner, are due to arrive in the region next week in an attempt to move the American peace initiative forward, Channel 10 News reported on Tuesday. According to the report, the two will visit Jerusalem, Cairo and Riyadh as they prepare to present the Trump administration’s peace plan. It was also reported that the two are interested in hearing final ideas before the plan is completed and are searching for suitable timing for the publication of the plan. However, it remains difficult to see how the Americans will make such a plan public in the near future, as the Palestinian Arabs continue to boycott them. Palestinian Authority (PA) chairman Mahmoud Abbas has refused to consider the Trump administration an honest broker for peace negotiations with Israel since Trump’s recognition of Jerusalem as Israel’s capital last December. 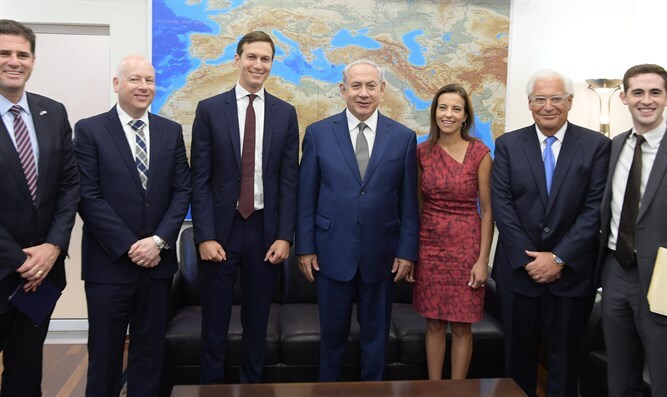 Kushner and Greenblatt do not intend to stop in Ramallah during next week’s visit, nor have they been scheduled to meet with any representative from the Palestinian Arab side.